The Rukban refugee camp on the Jordan-Syria border is home to more than 50,000 Syrian refugees. Amid blocked humanitarian assistance and scarce aid shipments coordinated by the United Nations, Jordan is preparing to close the camp on the Jordanian-Syrian border, home to tens of thousands of Syrian refugees. Sources from U.N. agencies said the camp will be closed within the next few months. "The momentum of the operation in the camp is declining and interventions by aid agencies are also decreasing […] the camp is expected to be removed in the next few months as the number of its resident is shrinking," said a U.N. official as reported by The Jordan Times. "We can see that many refugees are returning to areas where stability was restored inside Syria," the official said. The Rukban refugee camp, a strip of demilitarized zone trapped near the joint Syria-Iraq-Jordan border, is home to up to 50,000 Syrian refugees. Once a remote desert crossing point, Rukban has in the past three years turned itself from a temporary settlement into a permanent camp. Jordan shares a 375-kilometer (233-mile) border with Syria, which fell into civil war in 2011. There are reportedly more than 1.3 million Syrian refugees in Jordan. 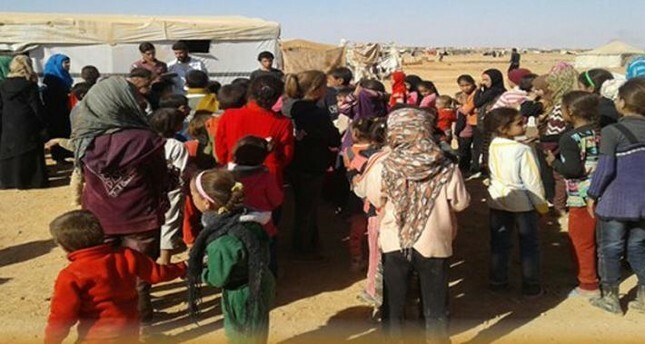 The humanitarian crisis on the Syria-Jordan border escalated as thousands of people were trapped on the border and were reportedly living only on flour and water, the United Nations warned in August. According to the United Nations High Commissioner for Refugees (UNHCR), some 659,000 Syrian refugees and around 63,000 Iraqis have officially registered in Jordan, a country of about 9 million people. The Assad regime has recently managed to regain control of some 30 kilometers of its border with Jordan with the massive aid of Iran-backed Shiite militias. Jordanian authorities stated their concern over Iran's expanding influence in Syria. Iran denies having any boots on the ground in Syria, and insists its commanders and generals of the elite Revolutionary Guards' foreign operations wing act as "military advisers" both there and in Iraq. Syria has been locked in a vicious civil war since early 2011, when the regime cracked down with unexpected ferocity on pro-democracy protests that erupted as part of the "Arab Spring" uprisings. Since then, more than a quarter of a million people have been killed and more than 10 million displaced across the war-torn country, according to U.N. figures.